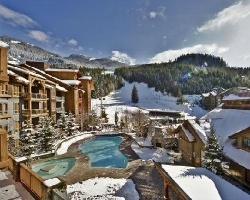 *Whistler Legends* is a condominium-style lodge, with ski-in-ski-out access in Whistler Creekside, just steps away from the Creekside Gondola. This lodge offers 1-, 2-, and 3-bedroom suites, some overlooking the famous "Dave Murray" ski run where the 2010 Winter Olympic Alpine events took place. The resort enjoys a unique setting and outstanding scenery, making it one of North America's premier vacation destinations. You can expect the best skiing on the continent, championship golf, a multitude of outdoor activities, and a charming village offering exquisite dining, shopping, and nightlife. The resort boasts a year-round outdoor pool, family and adult spa, kids' club, and media room with large-screen TV and surround sound. Everything you have ever wanted in an elite vacation is waiting for you here. 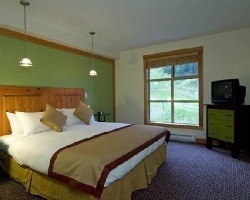 Beautiful mountain resort with ski-in ski-out access! Floating week. Buyer may receive a title fee credit, inquire for details!